Pfeilstorch… (and discovering bird migration). 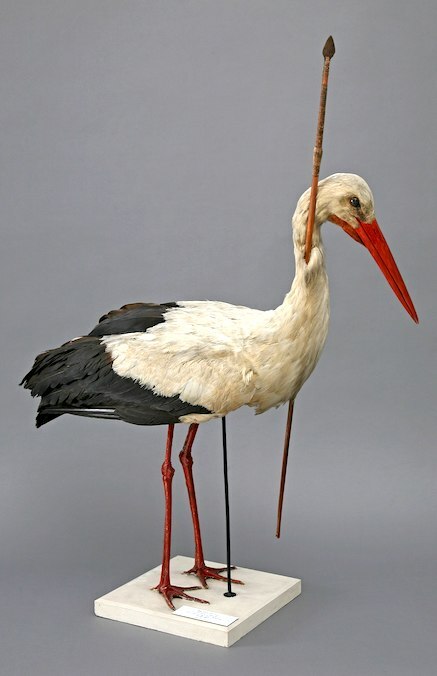 The term Pfeilstorch (German for “arrow stork”) is given to storks injured by an arrow while wintering in Africa, before returning to Europe with the arrow stuck in their bodies. (To date, around 25 Pfeilstörche have been documented). The first and most famous Pfeilstorch was a white stork found in 1822 near the German village of Klütz, in the state of Mecklenburg-Vorpommern. It was carrying an arrow from central Africa in its neck. The specimen was stuffed and can be seen today in the zoological collection of the University of Rostock… (it is therefore referred to as the Rostocker Pfeilstorch). This Pfeilstorch was crucial in understanding the migration of European birds. Before migration was understood, people had no other explanation for the sudden annual disappearance of birds like the white stork and barn swallow. 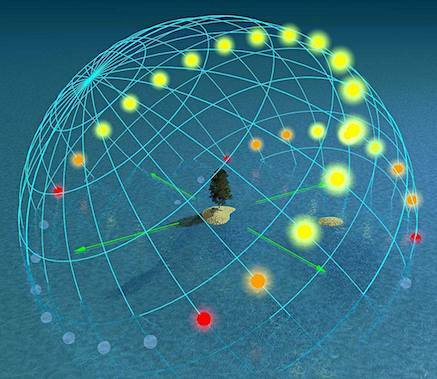 Some theories of the time held that they turned into mice, or hibernated at the bottom of the sea during the winter, and such theories were even propagated by zoologists of the time. The Rostocker Pfeilstorch in particular proved that birds migrate long distances to wintering grounds. 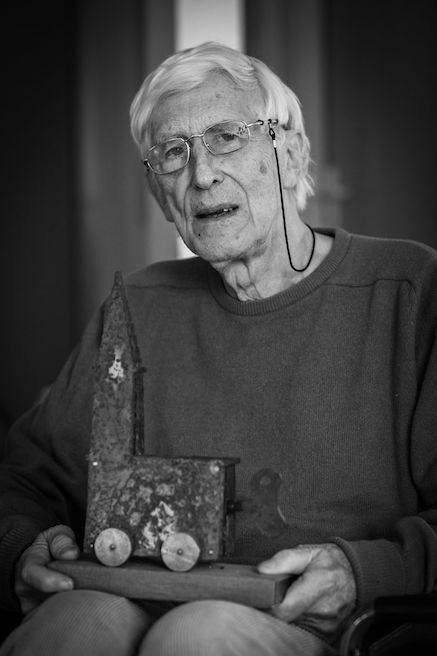 A polymath and a provocateur, Tomi Ungerer is perhaps best described by his motto: ‘Expect the Unexpected’. 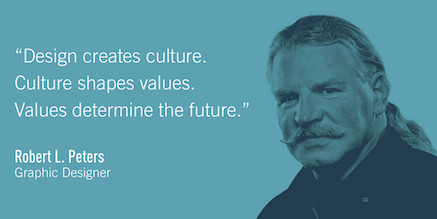 His life and work defied easy categorization. 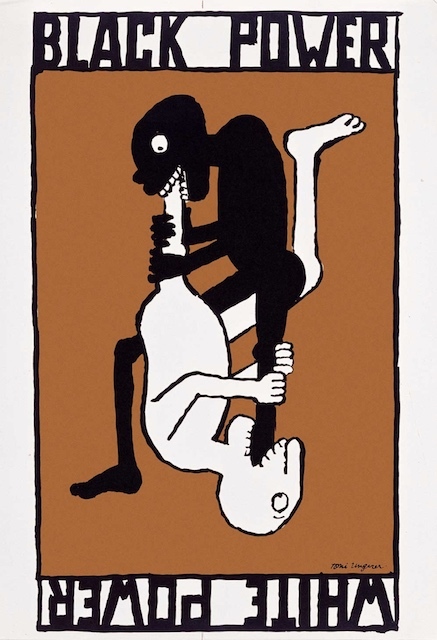 Although best known as an author and illustrator of children’s books, Tomi Ungerer’s oeuvre encompassed diverse practices including illustration, advertising, writing, collage, sculpture and architectural design. From the beginning of his career in the 1950s to the present day, Ungerer’s work challenged social norms and conventions with breath-taking originality. Born in Strasbourg in 1931, Ungerer worked in New York, Canada and Ireland as well as his place of birth. He has published over 140 books which have been translated into 28 different languages, ranging from his acclaimed children’s stories to autobiographical accounts to controversial volumes of social satire and adult themes. 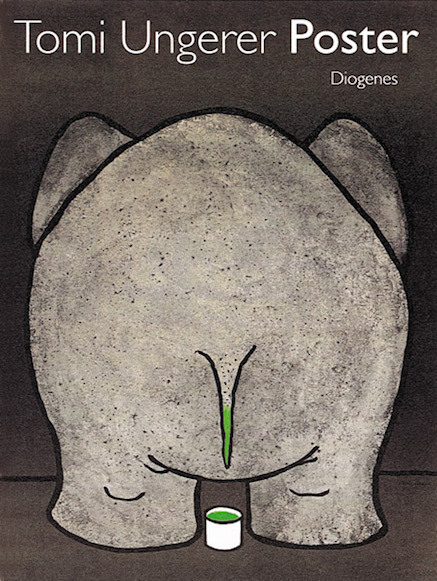 Ungerer’s illustrative style is celebrated for its minimal dexterity, darkly comic wit and dazzling inventiveness. 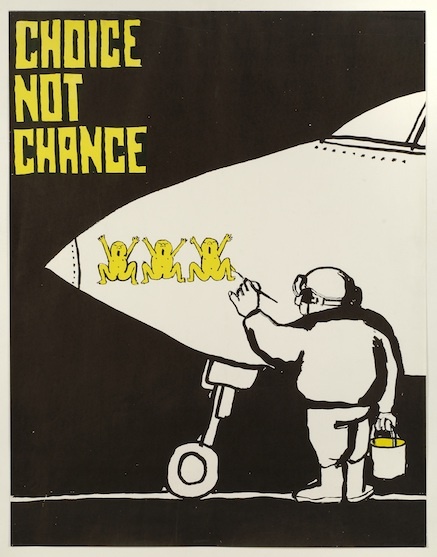 Renowned for his iconic advertising campaigns and his contentious political posters that railed against the Vietnam War and racial injustice in the 1960s, Ungerer’s frequently subversive work provides invaluable commentary on the divisive socio-political events of the second half of the twentieth century. 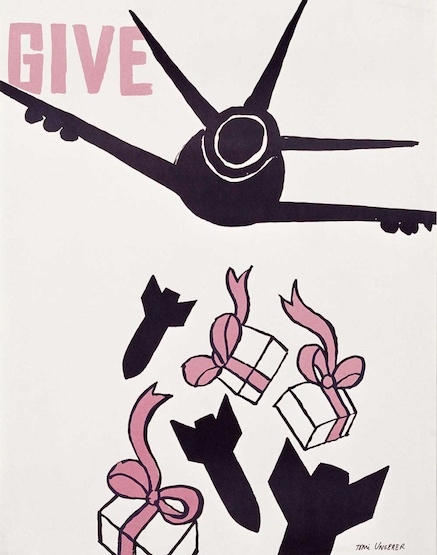 Ungerer’s work continues to be politically-charged and he has been involved in numerous humanitarian campaigns for nuclear disarmament, Amnesty International, Reporters without Borders and more recently, European integration. 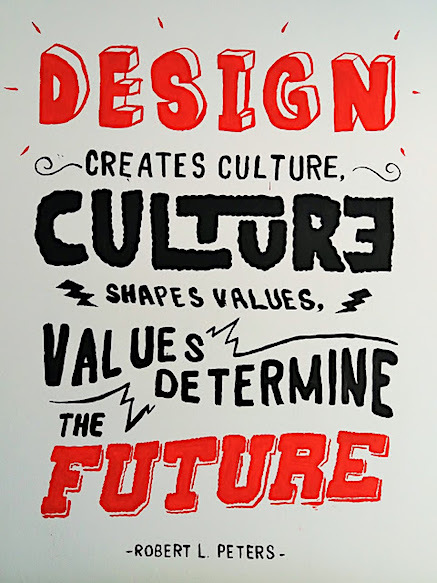 “Posters for me are the most challenging and gratifying exercise. 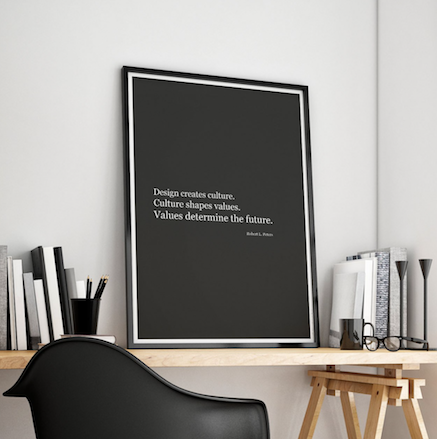 A poster has to act by impact, to catch the eye of a passerby within a few seconds. I would say the poster is more of an art form than most other kinds of advertising. 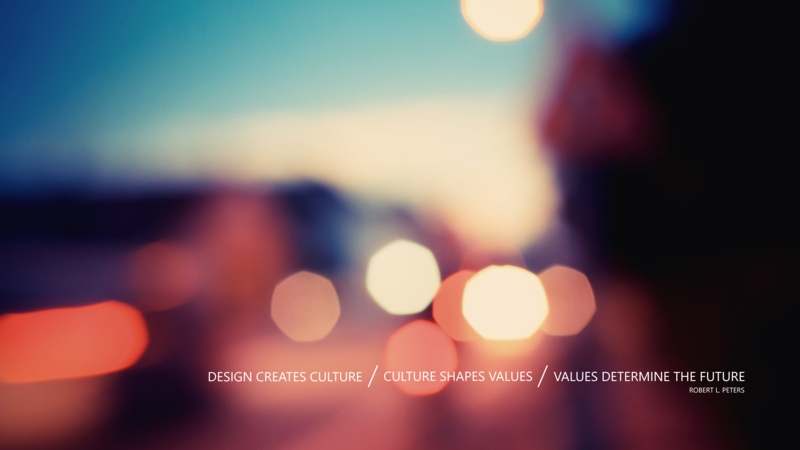 I first used the line “Design creates culture. 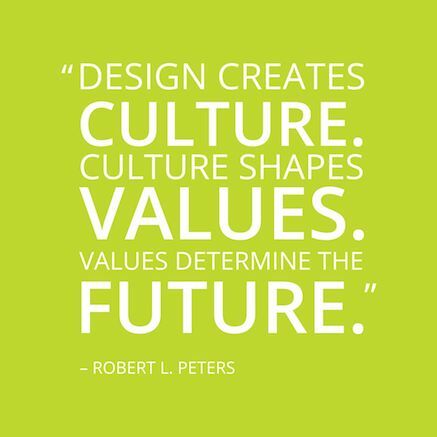 Culture shapes values. 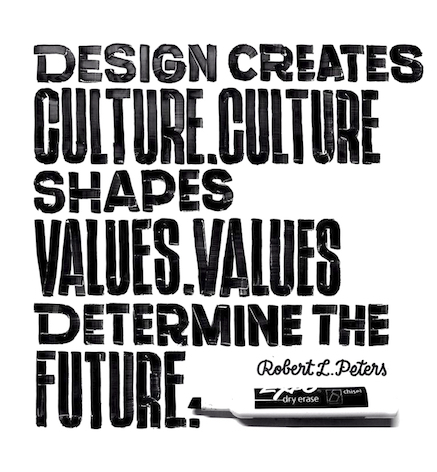 Values determine the future…” in a conference lecture in the mid-or-late 1990s. 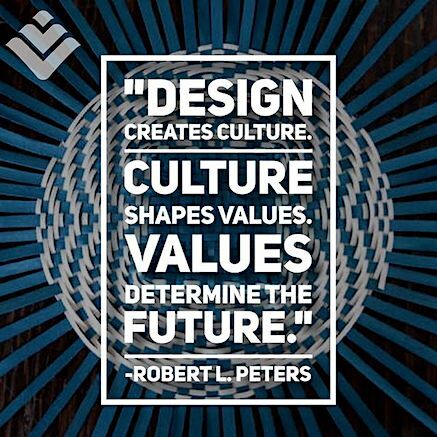 The top image is my own, from a book on design published in China. The images following are a tiny sample of the many “treatments” found online… (the Mao Clinic even offers it as “downloadable wallpaper” — click image below). 2019… and high time for unisex toilets. Come on, People! 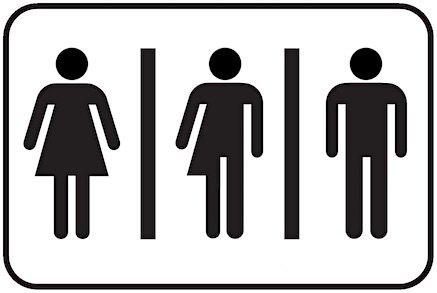 It’s high time for unisex public toilets (aka all-gender toilets, gender neutral toilets, gender free toilets or all-user toilets). 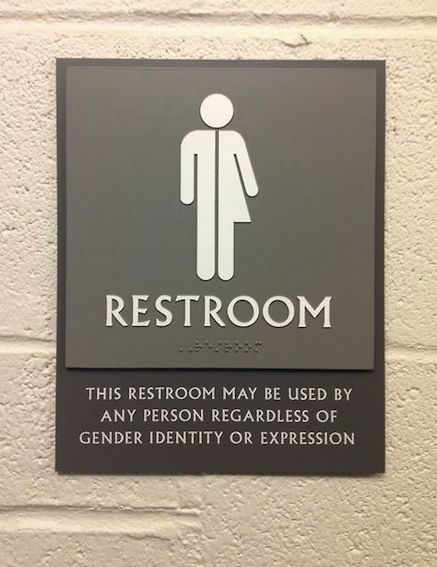 These are all toilets which can be used by anybody, regardless of gender identity or presentation. 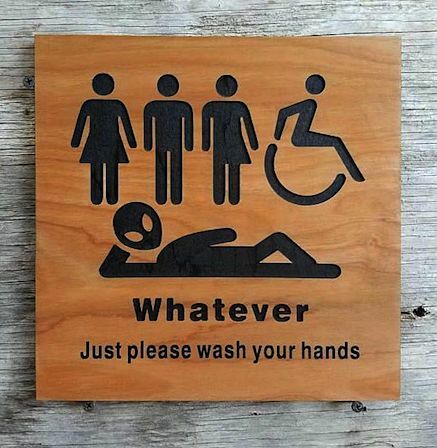 Public toilets and sanitation facilities need to cater for all people, including those who are part of the LGBTI community. This is an issue with respect to the human right to water and sanitation and also from the perspective of the Sustainable Development Goal 6 (of the United Nations), which aim for universal access to sanitation and gender equality. 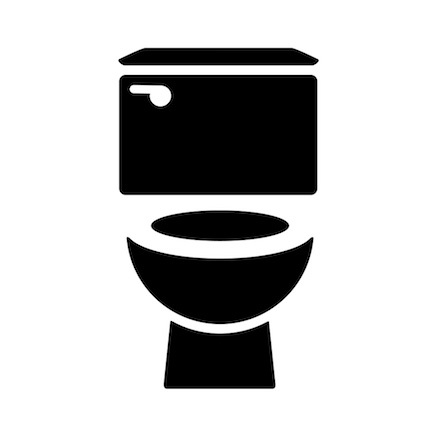 Simply put, unisex public toilets provide equal sanitation space for all genders. Gender segregated public toilets are an outmoded vestige of the Victorian era (200 years ago) where women’s modesty and safety were considered at risk and under constant need of surveillance and discipline. Before that (prudish) time, public lavatories around the world offered room for both sexes. 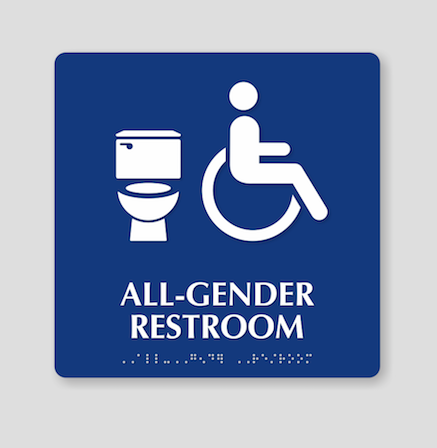 During the past two centuries public toilets around the world have been frequently been segregated by race, class, religion, and gender — and have often been completely inaccessible to certain people with unique needs or disabilities. 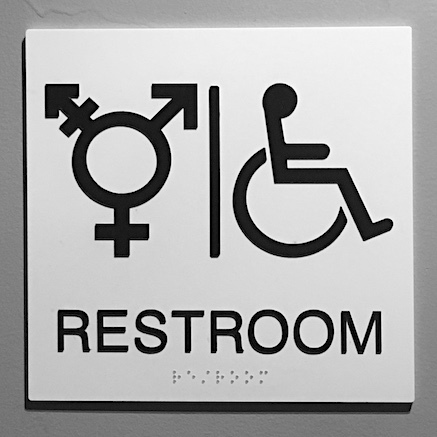 Making public facilities universally accessible, and to diverse populations, has long been an issue on our “shrinking planet” — it’s high time for change! 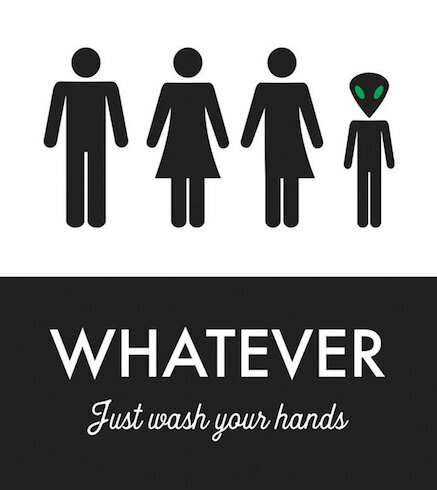 Please treat all others as equals, and please do wash your hands. 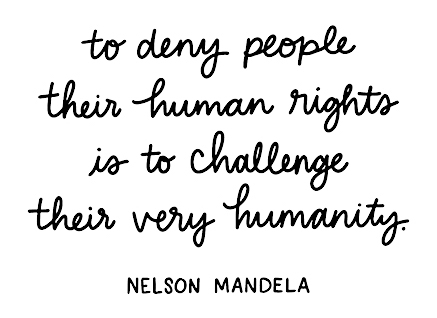 Today is Human Rights Day… and also the 70th anniversary of the Universal Declaration of Human Rights. 70 years ago today, on 10 December 1948, the Universal Declaration of Human Rights was adopted by the United Nations General Assembly at Palais de Chaillot, Paris. The Declaration arose directly from the experience of the Second World War and represents the first global expression of rights to which all human beings are inherently entitled. The date of 10 December was established as Human Rights Day in 1950, and has been commemorated annually around the world on this date ever since. 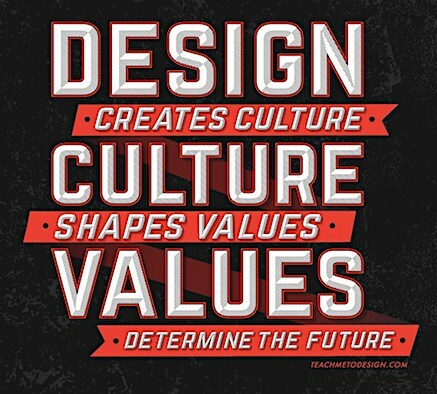 These days, the advancement and promotion of worldwide human rights are confronted by growing nationalism, a widespread misinformation epidemic, and the ascendency of identity politics which draw strength from ethnic or religious conflict. All the more reason to celebrate (and disseminate) comprehensive statements of inalienable human rights, I say! The Universal Declaration of Human Rights is a call to freedom and justice for people throughout the world. Many consider the Declaration to be the most important document ever written, essentially “the international Magna Carta of all mankind.” As such, it has also become the most translated document in the world. Do you know your human rights? Read the full text of the Universal Declaration of Human Rights here, or download a PDF of the text in English here. Watch an excellent type-and-graphic rendering of the Declaration on Vimeo here. 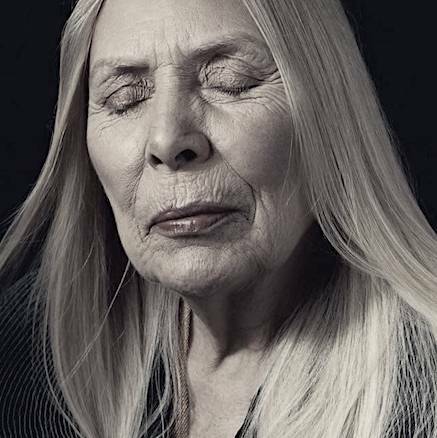 Joni Mitchell at 75… Happy Birthday! The news media (around the world) have been abuzz in the past weeks with praise for and tributes to the one and only Joni Mitchell, who turned 75 last week. The inimitable artist has been mostly “lying low” lately, recovering from a brain aneurysm suffered in 2015, though she has made a few public appearances. In early November, a two-night gala benefit for LA’s flagship performing arts destination, the Music Center, “was crafted by loving hands to make a space for Mitchell to inhabit, likely in silence, and hear her voice come alive through her friends and acolytes.” Read more here, here, here, or here. 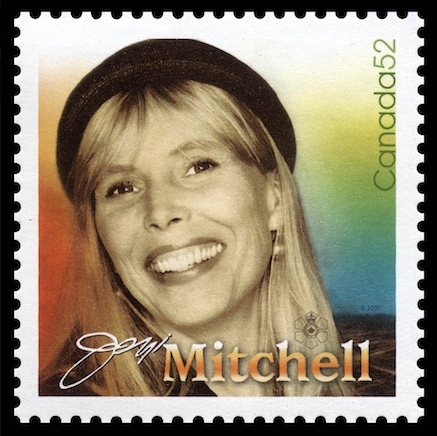 Our design team at Circle was delighted to have the opportunity (in 2007) to design a stamp commemorating the song-writing and musical legacy of Joni Mitchell — one in a set of four stamps also celebrating Canadian musical artists Gordon Lightfoot (who turned 80 today! ), Anne Murray, and Paul Anka. 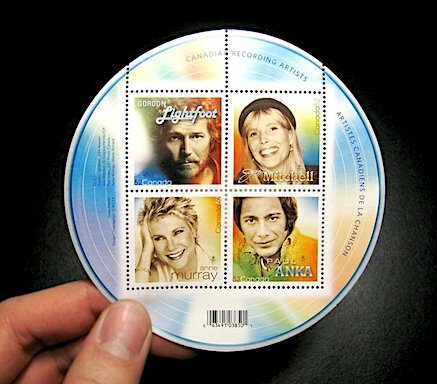 For Joni’s stamp, we were able to obtain usage rights for a beautiful photo by New York photographer Gregory Heisler/Cpi.